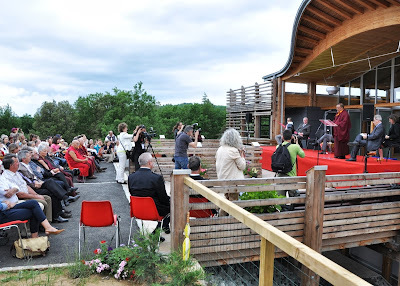 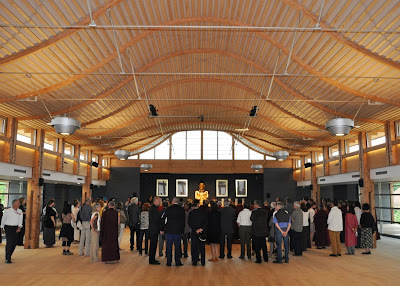 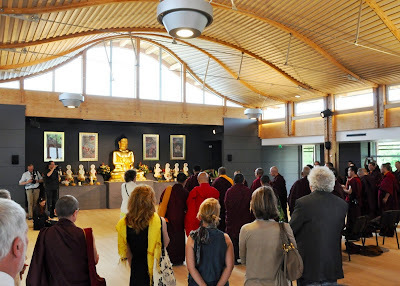 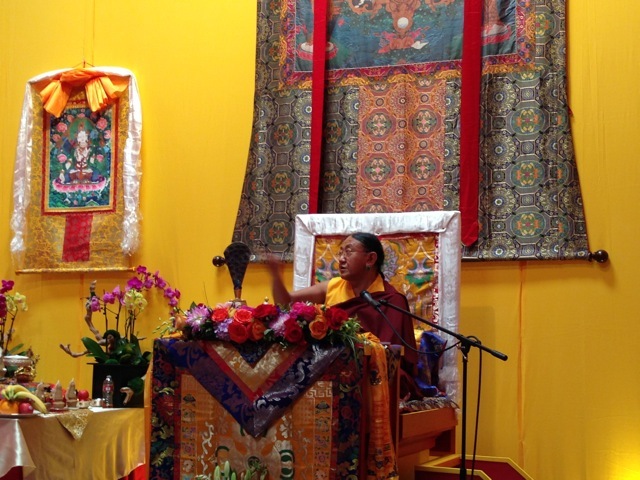 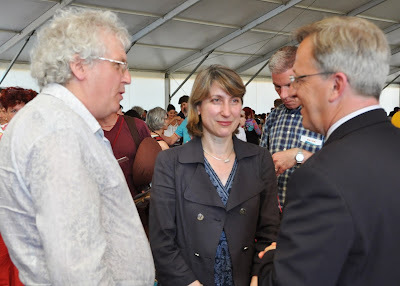 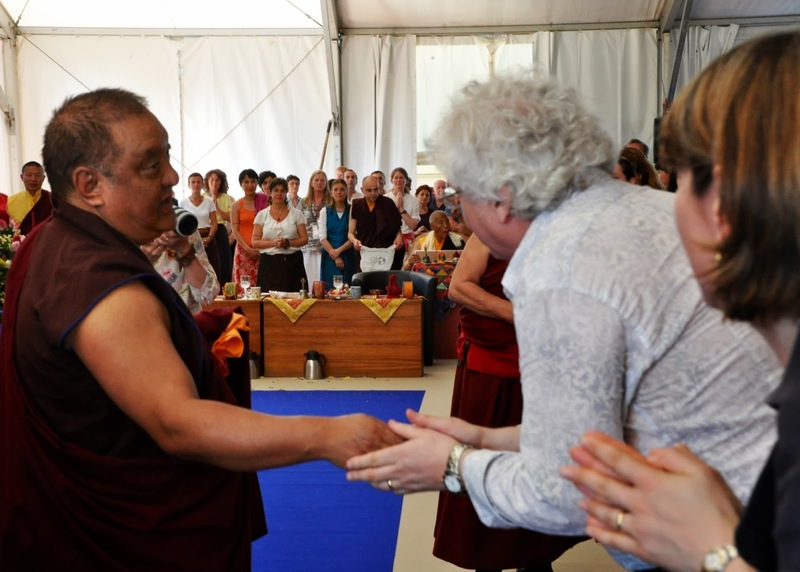 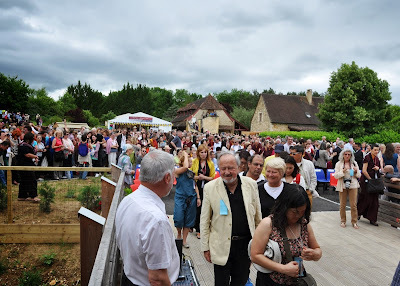 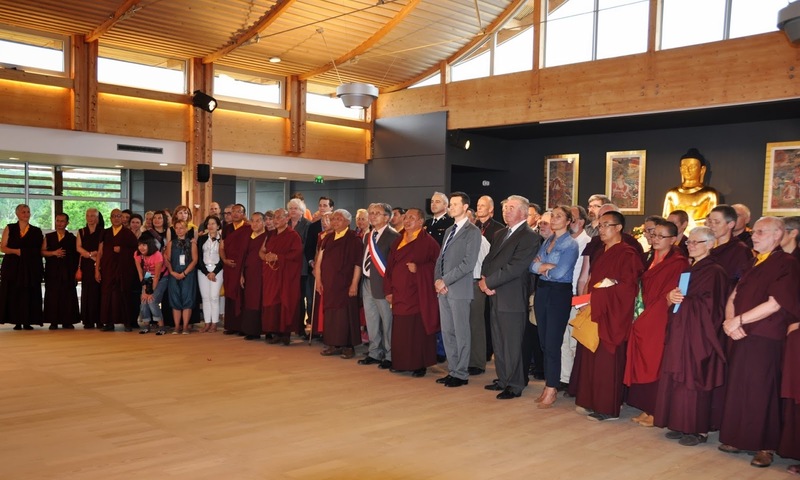 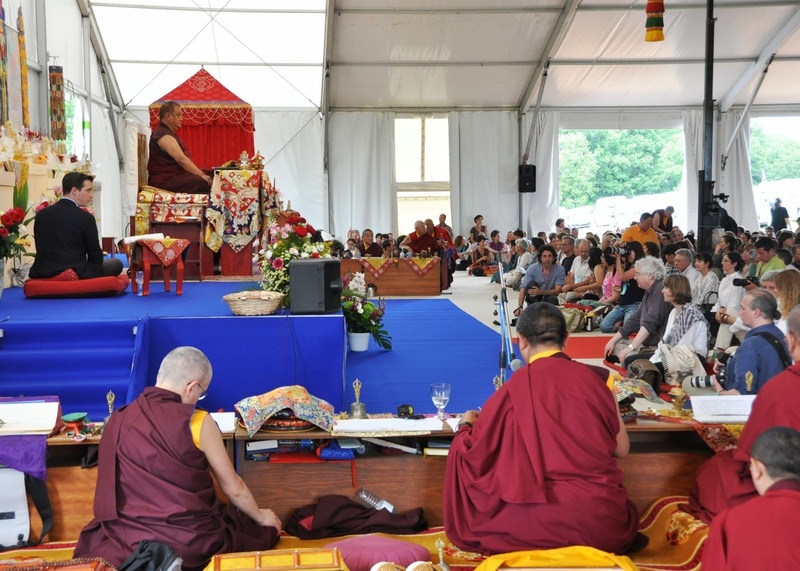 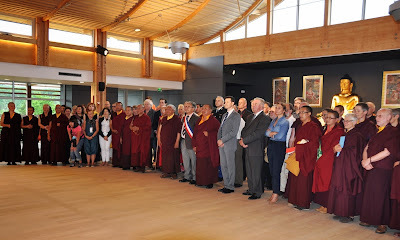 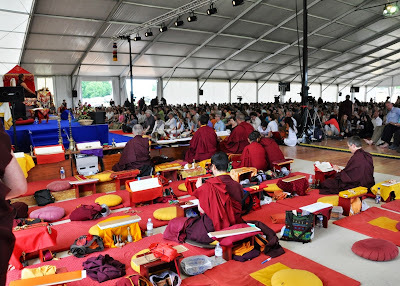 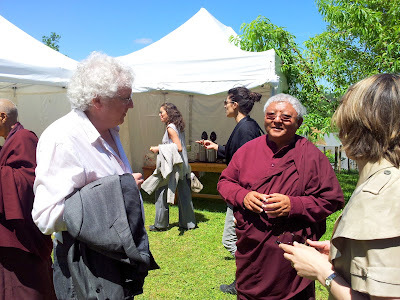 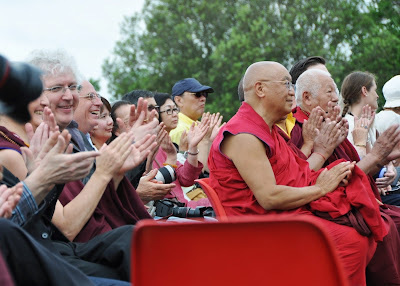 Lama Jampa Thaye and Dechen Dolma, accompanied by David Armstrong, have just spent four days at the opening of the Institute at Dhakpo Kagyu Ling in France where Lama Jampa was invited as a guest of honour. 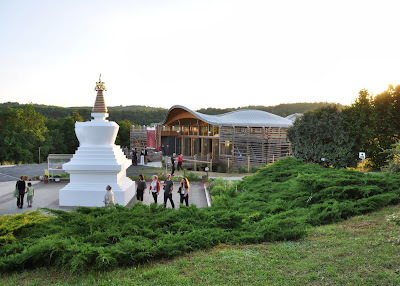 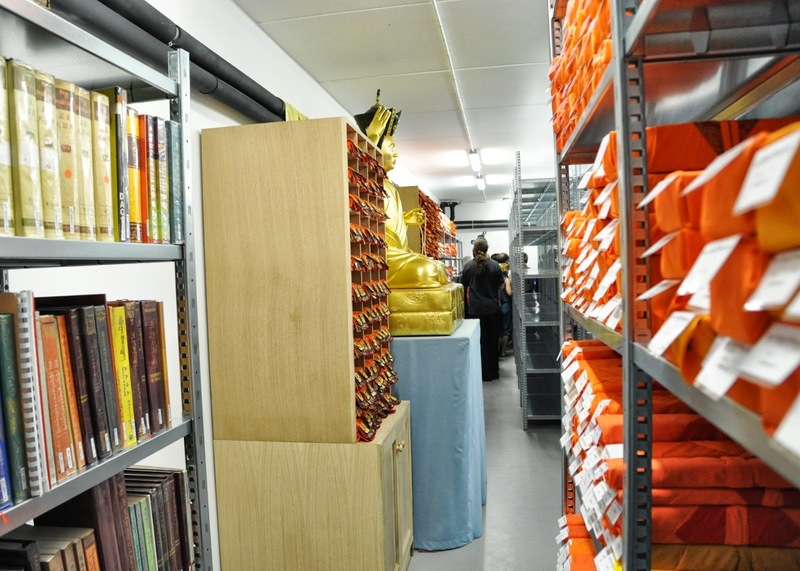 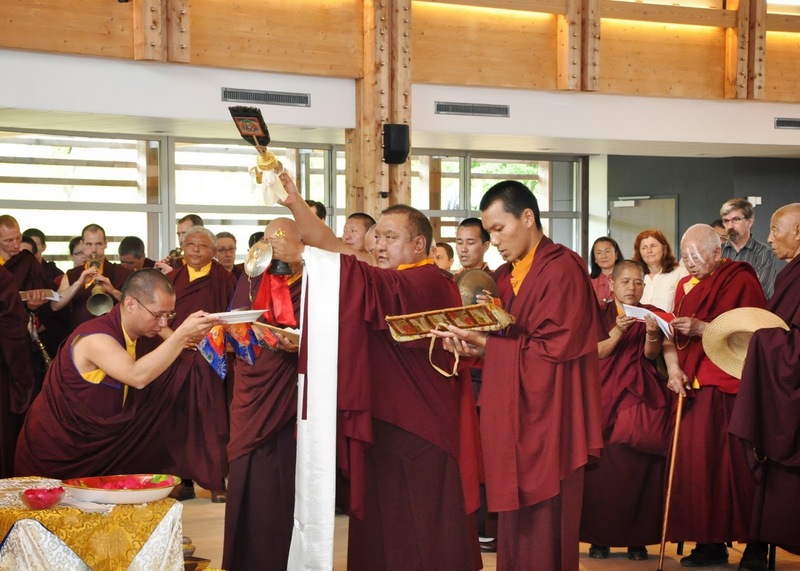 The new Institute, which is the culmination of twenty years of work by Jigme Rinpoche and the sangha, fulfils one of the specific wishes of His Holiness the Sixteenth Karmapa. The opening ceremony was performed by Kunzig Shamar Rinpoche in the presence of various civic and religious dignitaries. 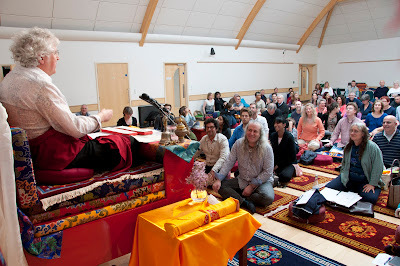 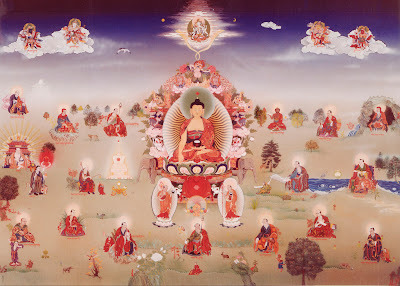 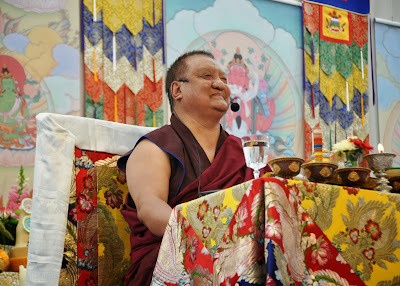 Over the following days Shamar Rinpoche gave teachings on Mahamudra and bestowed the major initiation of Gyalwa Gyamtso. Lama Jampa spent private time with Shamar Rinpoche during which they discussed old times, modern times and future times. 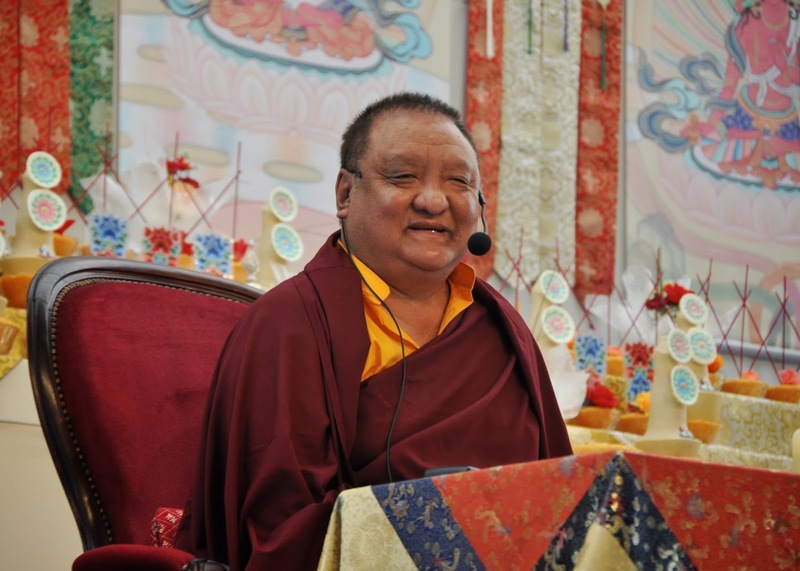 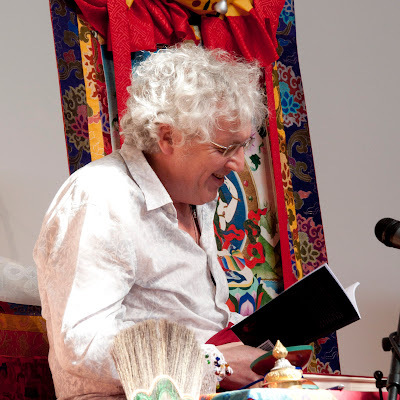 Lama Jampa will return to teach at Dhakpo Kagyu Ling on the Madhyamaka from August 10-12 shortly before the annual summer teachings begin at Sakya Changlochen Ling.